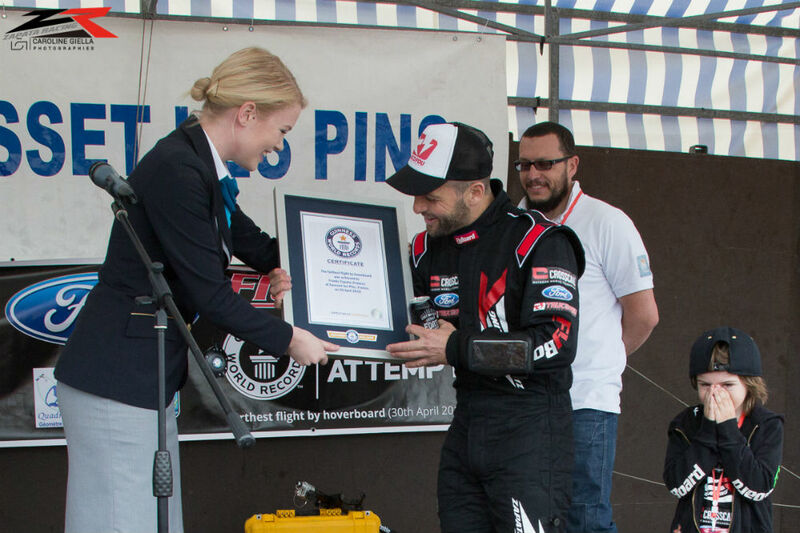 Franky Zapata has set a Guinness World Record for the farthest hoverboard flight. He covered 7,388 feet on a Flyboard Air on Saturday, April 30, 2016. 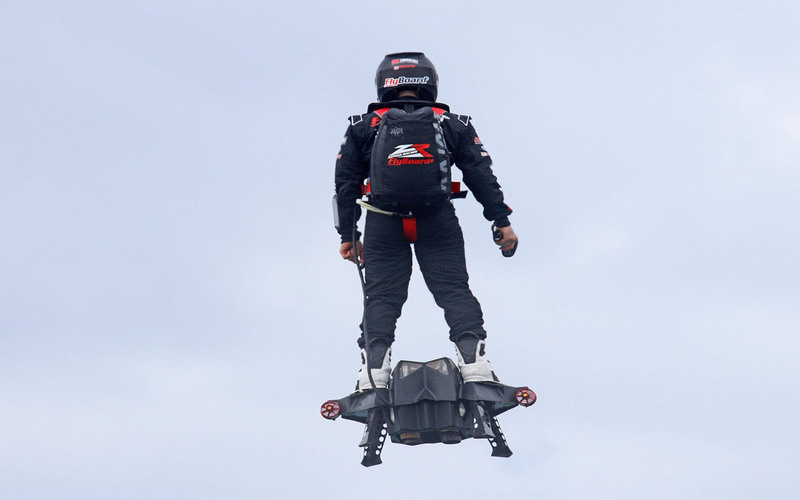 Zapata’s hoverboard, dubbed the Flyboard Air, first raised eyebrows with a viral video. But many viewers were skeptical of the device, going so far as to call the video a fake. Zapata and his company Zapata Racing have staked claim to the record and now have the last laugh. The flight was verified by Guinness in front of many onlookers. The screaming machine flew for more than six minutes while zipping about 100 feet above the water, reaching a top speed of 44 mph, before heading into the port of Sausset-les-Pinsto and landing safely. 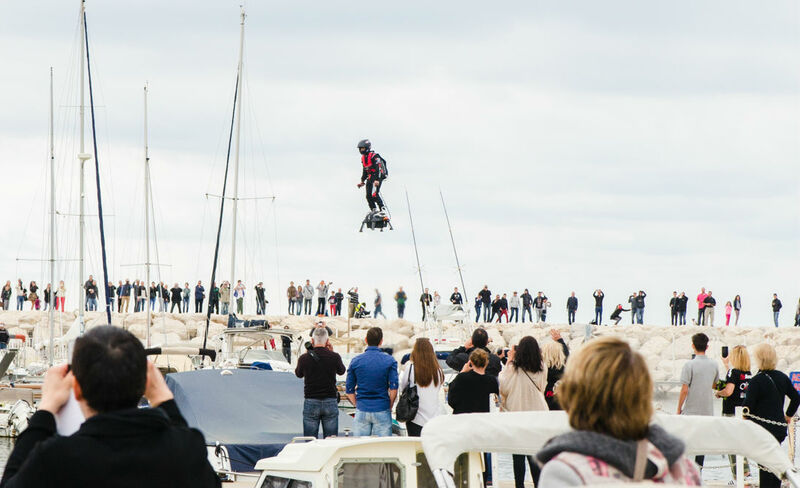 The hoverboard, piloted by the 37-year-old Frenchman, sets a new bar for flight. The company has been pretty secretive about the technology housed in the small device, but it certainly appears effective. While still a niche activity, it looks like remarkable new flying machines are one step closer to reality on a commercial level.